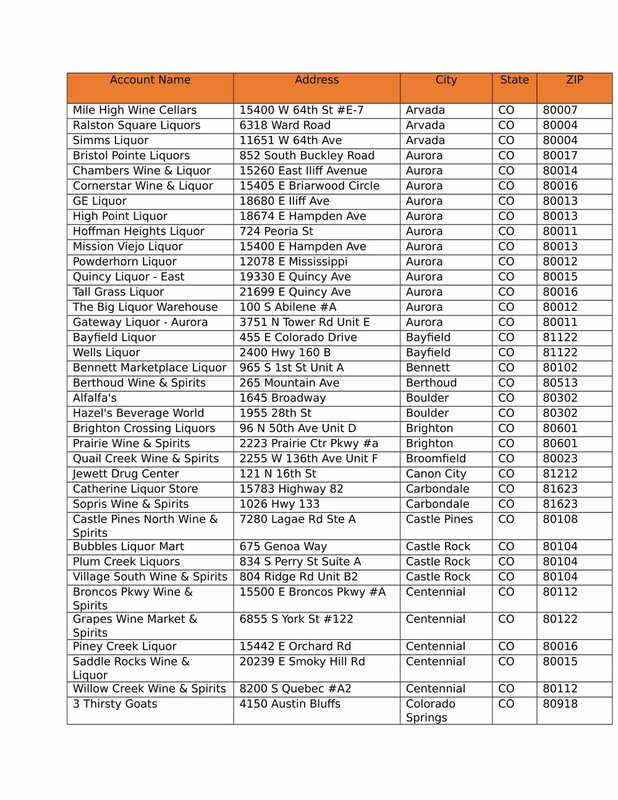 Snova Vodka is available In most Colorado liquor stores and restaurants, Just ask by name for Snova Vodka. 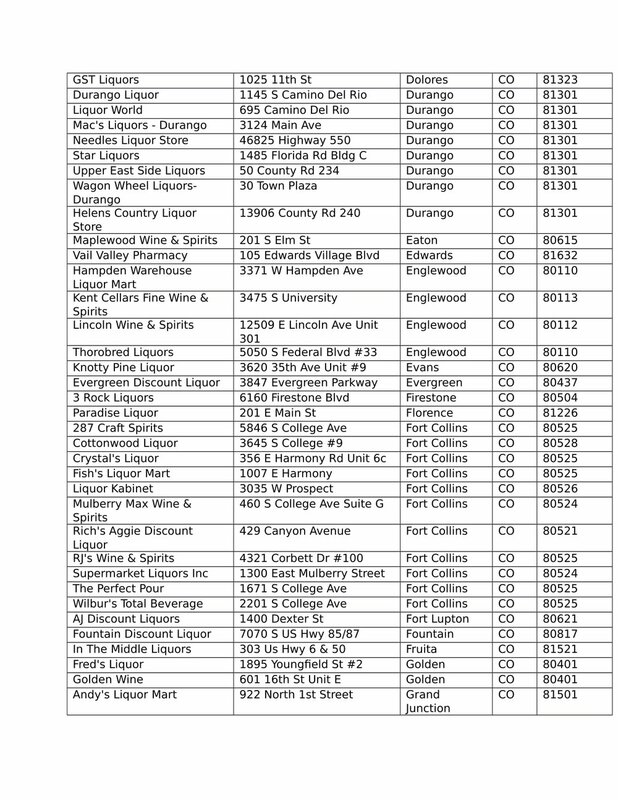 Select liquor stores are shown below. 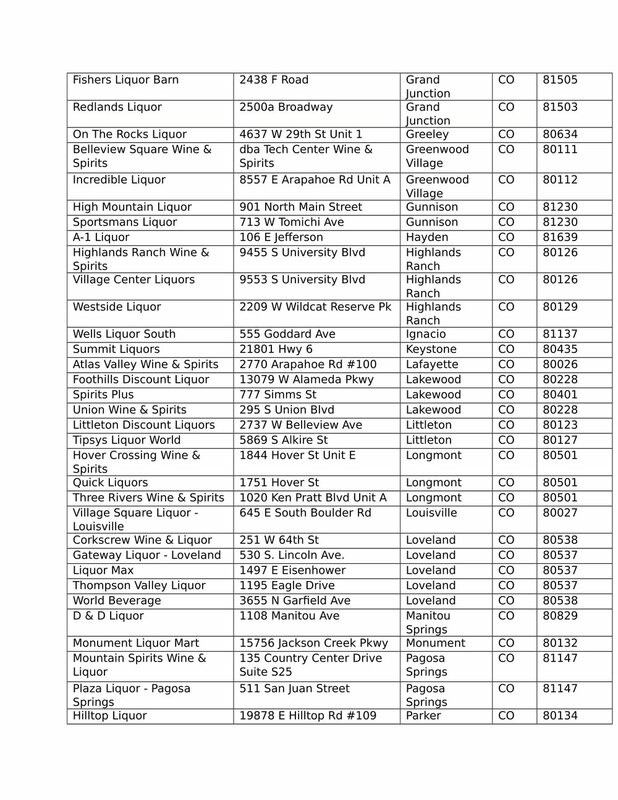 Distribution available via Classic Wines of Colorado.